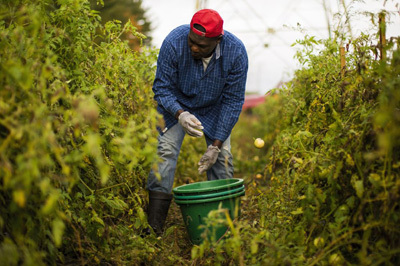 he number of black farmers in America has gone up, but to look at that number in isolation would be to mask the vast disparities that fall along racial lines. There were 45,508 black farmers in 2017, up about 2 percent from five years earlier, the Department of Agriculture said Thursday in its first agricultural census since 2012. About 3.2 million farmers are white, or 95 percent. More striking, ownership is declining faster for black farmers, down about 3 percent since 2012, compared with 0.3 percent for white growers. Even in terms of Internet access, increasingly vital as margins favor operators with real-time information, black farmers lag. 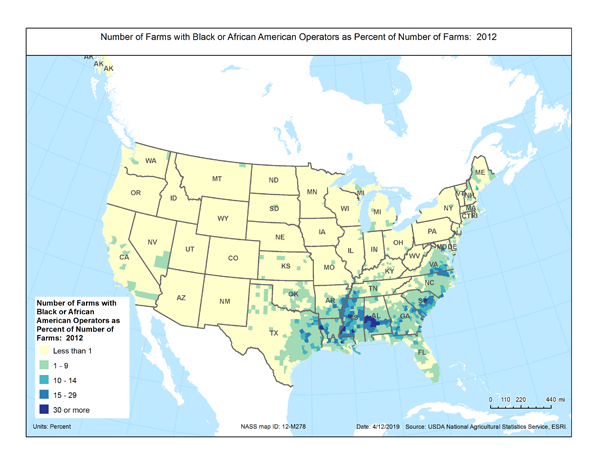 About 61 percent of black farms have Internet connectivity, compared with 76 percent for white farms, the data show.